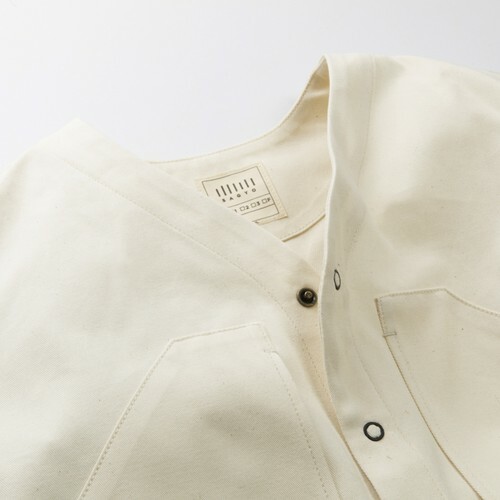 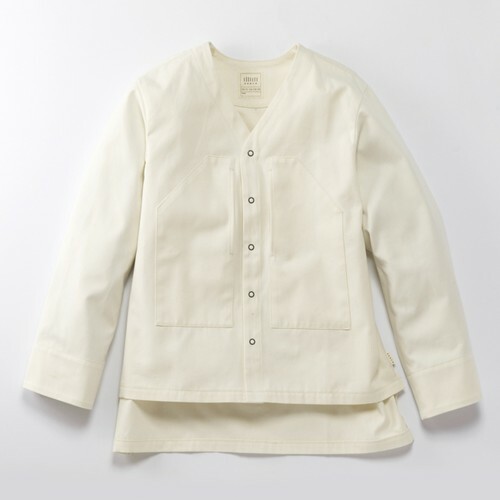 This comfortable garment for relaxing is a redesign of the DABO shirt, a workwear originally worn at festivals in Japan. Fitter around arms than the original DABO shirt design, it is made easier for layering. 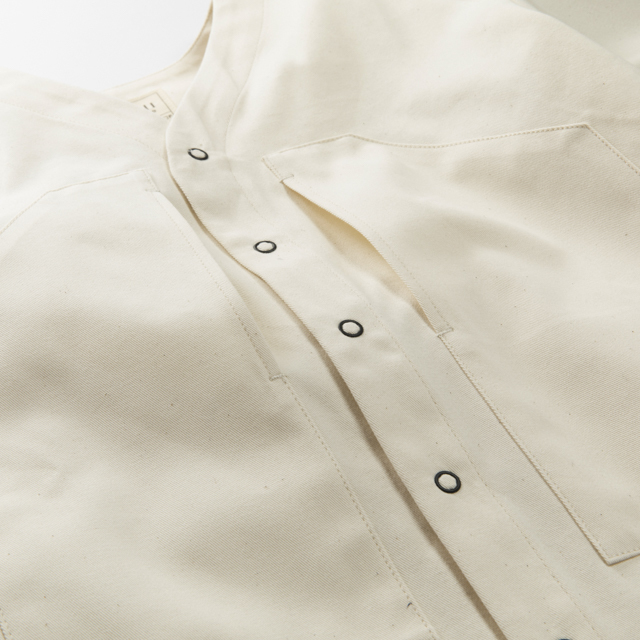 Pockets are on both sides of the breast so as not to worry about see-through. The front of the shirt can be opened with snap buttons. 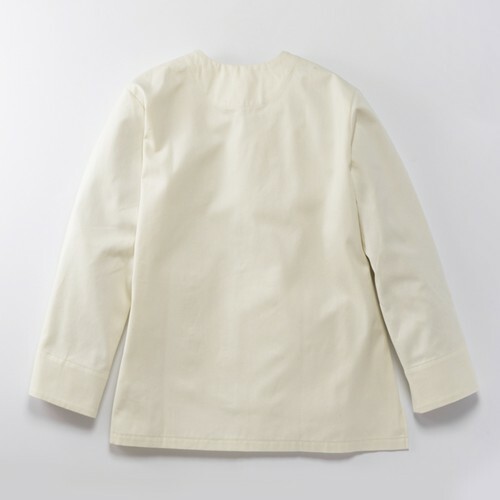 *All products by SAGYO is developed based on the Japanese traditional fashion design. 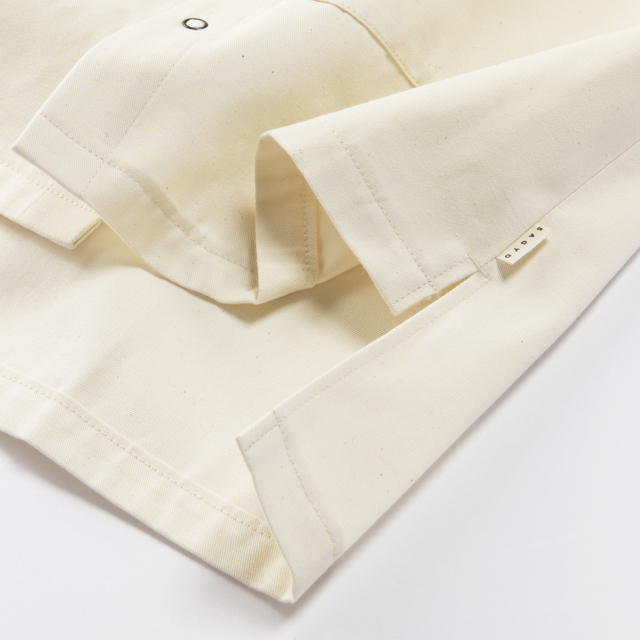 For this reason, on our garments the right-hand side of the collar is always on top of the the left.